I’m not a “Facebook Stalker”. I prefer the term “Social Media Analyst”. I can't wait to hear your name horribly mispronounced at graduation. 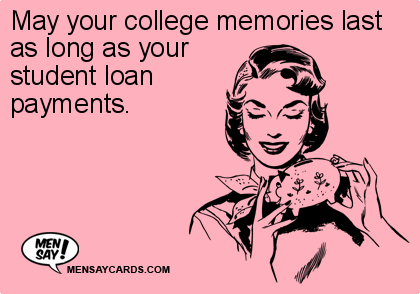 May your college memories last as long as your student loan payments.